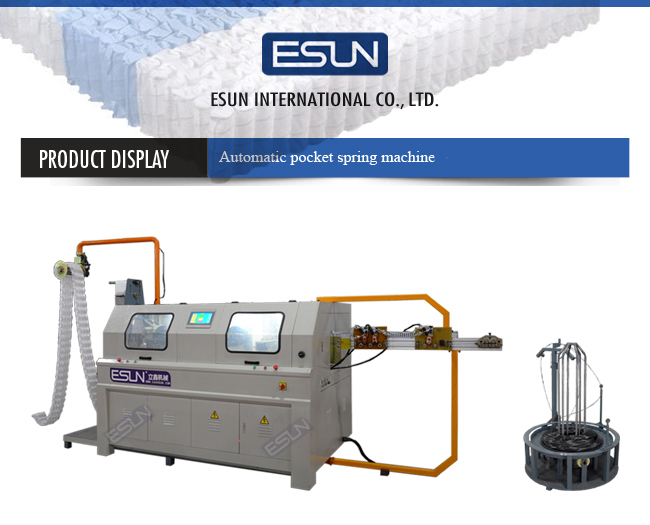 ESP-85 Digital Control Pocket Spring Machine is totally new designed base on ESP Series Pocket Spring Machine which with more than already 10 Years designing, production and using experience, max production speed can reach 85springs/mins. The good quality pocket spring produced by ESP-85 is widely used on for example mattress, sofa cushion and more other products. 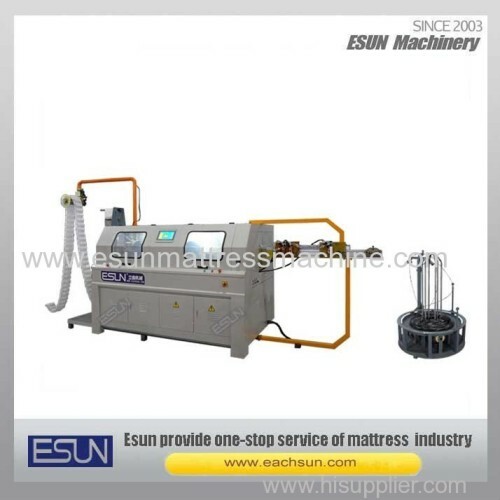 The four main process the Spring coiling, Heat treatment, Non-Woven Fabric folding and Ultrasonic welding can be finished by ESP-85 Digital Control Pocket Spring Machine. ESP-85 is successfully digitized and accomplish complete automation production. 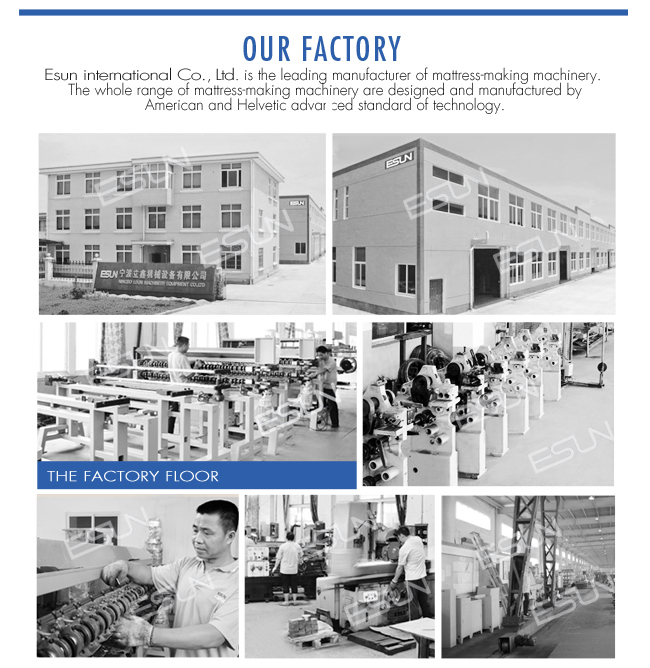 Normally, more than 3 sets ESP-85 Spring Machines can inspected and operated by only one operator. By the option Ultrasonic Auto-cutting device, the pocket spring cutting process also can be automatic finished. ESP-85 raise a lot of production efficiency and lower the labor cost.